Property investment offers us many ways to create wealth such as the profits from development, renovation and passive price growth when we sell a property, and cash flow while we own it. But even though we all believe that property values grow over time, there are also many traps for the unwary in relying on the power of passive price rises to create profit. Remember those mining towns in Western Australia and Queensland, where real estate values fell by over ninety percent from 2102 to 2017? What about capital cities such as Adelaide or Brisbane, where housing prices have stubbornly refused to rise during the last ten years, despite the confident predictions of so-called experts that they were about to boom? Even worse, in cities such as Darwin and Perth property prices have actually gone backwards over the same period of time. This uncertainty about future price performance leads many investors to the view that while prices may rise over long periods of time, the immediate benefit of owning real estate is cash flow from rent, because it is immediate and measurable. If the rent we obtain each week is more than the costs of holding the property, we have achieved the holy grail of property investment – a property which is paying for itself and providing us with positive cash flow. For example, if you followed my predictions and bought an investment property in Hobart’s Bridgewater for $180,000 in 2017, your current weekly rent would be $300, which is a rental yield of nine percent. Of course, you have to fork out for repairs and maintenance, property management fees, rates and insurance, which typically amount to around two percent of the property value each year. In addition, there’s the interest cost of the loan on your property, which can be around three to four percent of its total value, depending on how much of the purchase price was borrowed from a housing finance provider. Your Bridgwater property could therefore cost you up to $200 per week to hold, depending on how much you borrowed to buy it, but the weekly rent is $300, so you end up with at least $100 per week in your hand – not only is the property paying for itself, it has generated around $10,000 net cash flow since you bought it, and the median house price in Bridgewater has risen by $40,000 over the same time – not a bad result. Far more common are investments where the income from rent is not enough to cover the costs of holding the property and their owners are losing real money. For example, if you purchased an investment property in outer Sydney for $1,000,000 in 2017 you would be able to charge around $600 per week in rent, giving you a gross rental yield of three percent. Just like in Bridgewater, you must pay holding costs amounting to two percent of the property value, plus the cost of the loan interest, which in total amounts to around $1,100 per week, so you are losing $500 each week. This property would have cost you around $50,000 to hold since you bought it, and median house prices in Sydney have fallen by around $70,000 over the same time – so why would you even contemplate such an investment? The answer lies in the belief that housing prices will rise over time and in the lure of negative gearing, which allows you to offset your holding cost losses against other income, reducing your income tax liability. But while gearing reduces your tax, it does not generate income and you still have to pay the cost of holding the property. This is the hidden reason why buying demand from investors, especially in our mainland capital cities, has slumped. It’s not so much about prices as it is about gross rental yield, or the return on investment we receive from rent. There’s no doubt that tougher lending regulations, lighter loan limits and termination of interest only loans had their effect, but even though the restrictions have been eased, investors have not returned. Rental yields in our mainland capital cities are too low, and the gap between income and expenses is too high to make property investment attractive. The tipping point at which investor interest currently wanes is when the gross rental yield drops below five percent, which is when the cost of holding a property starts to outweigh the benefits of owning it as in our Sydney example. Conversely, when rental yields rise above five percent investors sit up and take notice, because properties in such areas can deliver positive cash flow from day one, such as the Bridgewater example. The reason that rental yields are so low in Sydney and Melbourne is that housing prices have nearly doubled in the last six or years, but asking rents lag behind, and have only risen by twenty percent over the same time. The gross rental yield is now at its lowest level since 2012 – at around three percent. Virtually every Sydney and Melbourne property investment made since the booms began generates much less income from rent than it costs to hold and the owners have to make up the difference out of their own pockets each week. So, while all the focus is on rising prices, the real issue for investors is low yields. Other mainland capital cities have also suffered from falling rental yields since 2012, but these have been caused by oversupplies of new housing, particularly in Brisbane and Perth. New home surpluses have been keeping a lid on housing prices. They encourage aspiring first home buyers to move out of rental accommodation and into their own home, with the repayments often being lower than the rents they were paying. The drop in rental demand has seen rental yields in these cities fall by over one percent in the last few years as rental vacancy rates blow out and landlords compete for tenants. With rental yields in Adelaide. Brisbane and Perth at only four percent and prices going nowhere, investors are not excited. The proof of the “five percent tipping point” lies just across Bass Strait, in the one property market that has been booming while others have languished – Tasmania. Rental yields in Hobart were over five percent in 2017; much higher than any other State capital city and they were even higher in other parts of Tasmania. Mainland property buyers have been surging into the Tasmanian market since then, buying properties in suburbs such as Bridgewater and yet both prices and rents have continued to rise due to an underlying shortage of housing stock for rentals as well for purchase. Here’s a tale about four bad boys, which has great relevance to what’s taking place in our housing markets. While mum and dad were out, the four boys started playing up. Searching the fridge for leftovers, they found and devoured some chocolate cake, washed down with a bottle of lemonade. They discovered and cleaned out the biscuit tin in the pantry, leaving crumbs everywhere. With no one around to stop them, they ventured into the family room and polished off a packet of after dinner mints, celebrating their good fortune by consuming the ginger beer and the other soft drinks they found in the bar fridge. No sight of their parents yet, so on they went into the holiest of holies – mum and dad’s bedroom, to see what was on offer. There they found the block of Swiss Chocolate dad had given mum a few days before and soon it was all gone. So they set to work, cleaning everything up. They even polished dad’s golf clubs, put out the rubbish, mowed the front lawn, picked some flowers for mum, did everything they could to make amends before dad got home. I won’t tell you what happened when dad did get home, but this story illustrates what is going on in the housing industry right now. Having acted much as they wished while mum and dad were away, the big banks have been called to account by the Royal Commission and they’re anxiously waiting for the Commissioner to deliver his verdict on their bad boy behaviour over the last few years. So what do they do while they’re waiting? Exactly what the bad boys did – not just clean up their act, but go even further to demonstrate just how loyal and trustworthy they really are before the Royal Commission delivers its findings early next year. This is the only reason that we are experiencing a totally unnecessary squeeze on housing finance – there’s no financial crisis, no economic crash, no reason to restrict lending other than the banks trying to prove how diligent they are by applying what some would argue are excessively stringent borrowing criteria. Once the Banking Royal Commission is behind us and the banks have been suitably chastened for their bad boy antics, things will get back to normal again. Housing lending will start to rise and housing demand along with it. This is because banks are in the business of making money from lending, and secured housing finance is the safest form of lending they can provide. Firstly, let me explain what I mean by “discretionary” purchases. These are property purchases made by people who don’t intend to make the dwelling their home, and neither do they plan to rent them out either. This may seem like an unlikely thing to do, yet there are around 600,000 such properties located around Australia. These properties are commonly known as holiday homes or weekenders, many of which are located in popular coastal, lakeside or riverside destinations while some are also tucked away in more remote hinterland areas. There are two different types of people who buy such properties. 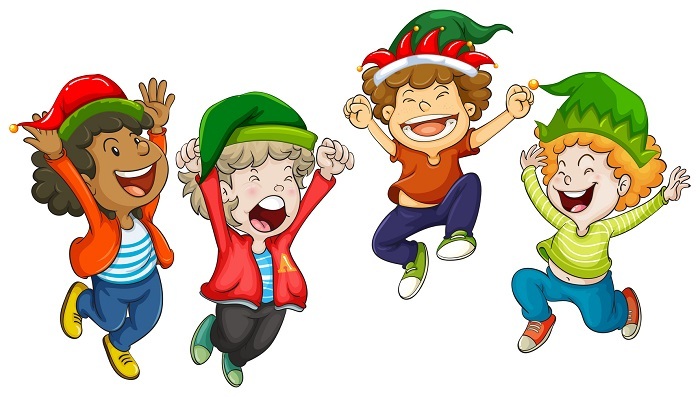 The first are high fliers who have earned a great deal of money in a reasonably short time. They are typically mining construction workers during mining booms or share investors during stock market booms. Some of these cashed up buyers purchase trophy type units in fashionable holiday areas such as the Gold Coast not so much to live in as for the bragging rights that go with them. 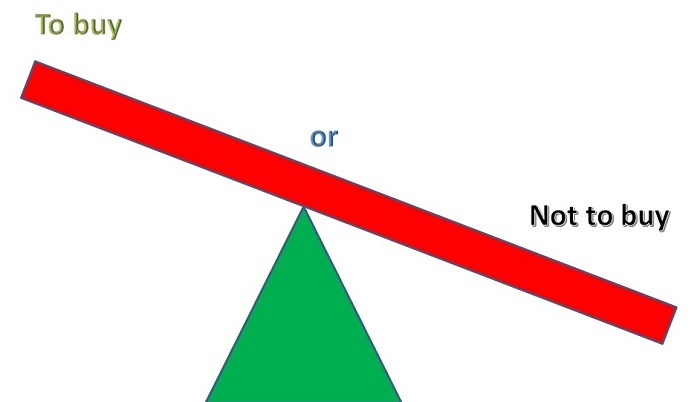 If the financial situation of these buyers deteriorates when the boom ends, their trophy type purchases are the first to go, and it’s this “discretionary” buying and selling in locations such as the Gold Coast which generates much of the unit market booms during the good times, and the busts which inevitably follow when the booms end. There is another far more significant type of discretionary buyer in the market right now and the numbers of these buyers will grow in the next few years. The reason for this is the way that the Sydney and Melbourne housing markets have performed over recent years. Over the last five years, housing values in Sydney and Melbourne have grown rapidly and delivered their owners a huge increase in equity. This is because the benefit of these increased property values applies to all homeowners, even if they didn’t buy or sell during the heady boom years. The numbers involved are truly staggering – around one million fully owned homes, and well over one million homes being paid off with a mortgage plus another one million investor owned dwellings have all doubled in value during the last five years. The total increase in property values is estimated to total more than $800 billion, but despite this huge amount of gifted capital, most of these households have been content to stay in their homes with no intention of upgrading. Many are also not inclined to risk their new-found largesse by entering the market as property investors, particularly when the growth appears to have ended. Increasingly though, homeowners in Sydney and Melbourne are finding that they can make use of this new equity in a different way – to buy their own holiday home. They now have the means to buy a weekender in one of their favourite getaway locations and may also be tempted to turn this into an income generating opportunity by renting the property out for Airbnb or other short-term rentals. The typical locations for such homes are in coastal towns, inland lake resorts and popular tourist destinations around Victoria and New South Wales which are easily accessible by road. With school and work finished for the week, the family packs the car and in a few hours they are a world away. These property purchases are real “heart not head” territory and now occurring in popular holiday destinations such as Victoria’s Gippsland Lakes and Port Stephens in New South Wales, where several locations have high price growth potential. We are already seeing increased buyer demand and price growth occurring in many such areas. As prices rise and then become unaffordable, the buyer demand shifts to other nearby locations where prices have not yet risen. By identifying the best areas and the right types of properties, investors can get in first and then benefit from the uplift in prices. The trick is to buy before the price growth starts and then sell to a holiday home buyer before the growth is about to end. Each of these price falls was precipitated by an economic crisis – there was the Great Depression in the thirties, the sixties Credit Squeeze and the more recent Global Financial Crisis. More significant is that each of these crises followed the same sequence of events – firstly the share market crashed, then there was rising unemployment, falling wages and salaries and a curtailing of housing finance. It was the lack of housing finance which actually caused housing prices to fall, and as you can see from the graphs, the only really big price fall was during the Great Depression, which incidentally was followed by the biggest rise in housing price history a few year later, when house prices trebled in ten years from 1945 to 1955. What we are witnessing right now is a cut in housing finance – there has not been an economic crisis, nor a share market crash, neither are wages and salaries falling or unemployment rising. The banks are simply responding to the tighter APRA regulations and the Royal Commission by cutting their lending to property buyers. The only eventual outcome of this is that rents will rise, as we are not building enough dwellings to meet the demand from our growing population, and if new households can’t buy, then they have to rent. Once rents start rising, governments will come under pressure to increase lending to owner occupiers and investors, and so prices will start to rise again. It will just as easy for the banks to increase lending as it has been for them to reduce housing finance. In that regard, it is important to see that the growth in house prices has averaged 8.3% per annum since 1901. This equates to a doubling in house prices every ten years and that is exactly what has occurred in Sydney and Melbourne, except that virtually all the growth has taken place in the last five years. This means that we haven’t had a boom in Sydney or Melbourne at all, while prices have only been marking time in the other capital cities. So hang in there, investors – the next boom is not far away. 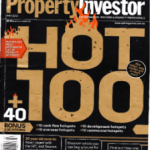 In the Australian Property Investor magazine’s Hot One Hundred Issue of April 2012, I was the only expert whose predictions all rose in price over the next two years. I also picked the hottest performer of all the experts – Highgate units, where prices rose by nearly 50% in a no-growth market. 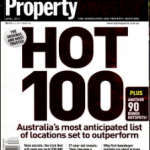 In the Australian Property Investor magazine’s Hot One Hundred Issue of May 2013, I was the first expert to publicly predict Sydney’s imminent housing market boom. My predictions also revealed which of Sydney’s suburbs would be the first to rise in price, heralding the boom to come. My published articles have correctly predicted booms for Hay and Berri where prices doubled in a year or less and Byron Bay, Weipa and Highgate, where prices doubled in just a few years. 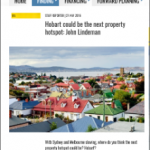 In Property Observer Issue of 27 May 2016, I correctly predicted that Hobart was the next property hotspot and would boom in 2017, just before the growth kicked in. Hobart was the best performer of all capital city housing markets in both 2017 and 2018. 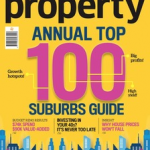 In Your Investment Property’s Annual Top 100 suburbs guide Issue of January 2018, I picked the top performer, which is Karuah. Karuah is not only the top performer of the Top 100, but has been one the best performers in the whole of Australia, with the median house price increasing by nearly 50% in less than one year. All of the above predictions were authored by John Lindeman and published in the sources quoted, with the results independently verified by CoreLogic published data.